A deep 6.3-magnitude earthquake struck in eastern Indonesia Saturday night, US seismologists said, but no tsunami warning was issued. 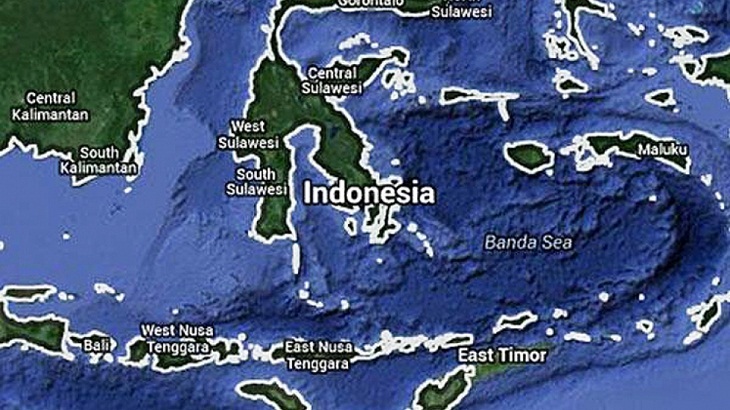 The quake hit in the sea in southwest Indonesia, about 130 kilometres (80 miles northeast of the city Tiakur at 10:27 pm (0127 GMT), at a depth of 140 kilometres, according to the US Geological Survey. The national disaster agency said the quake was felt weakly in Tiakur for about three to five seconds. "There are no damages and casualties," national disaster agency spokesman Sutopo Purwo Nugroho told AFP. The area is often hit by quakes, but the epicentre is deep, Nugroho added. The quake was also felt in Dili, the capital city of neighbouring country Timor-Leste which lies about 370 kilometres from the epicentre. "People immediately started running while screaming 'Quake!' and informing one another by hitting the electricity pole as a quake warning sign," Dili resident Dion Chatulessy told AFP. An earthquake struck the country's western Aceh province in December 2016, killing more than 100 people, injuring many more and leaving tens of thousands homeless.